If you want joy, do not resist the Holy Spirit, but be docile to Him. Pope Francis stressed this during his daily morning Mass this morning at Casa Santa Marta, reported Vatican Radio. 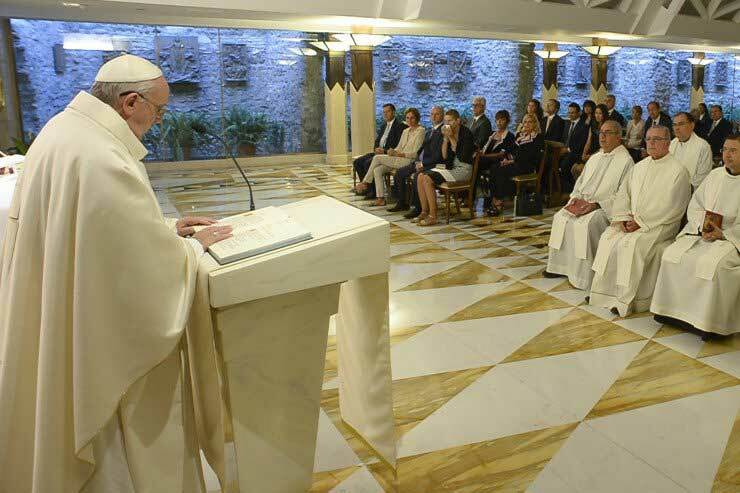 The Pope drew inspiration from today’s first reading from the Acts of the Apostles in which Philip evangelized the Ethiopian, a senior official of Queen Candace, and pointed out how the protagonist of the meeting was not Philip nor the Ethiopian, but rather the Holy Spirit. The Holy Father warned against those who resist the Spirit with “so-called fidelity to the law,” and stressed this guise of loyalty to the law can never justify such resistance. The Spirit, “working in the heart of the Ethiopian,” not only offers him the gift of faith, but makes him feel “something new in his heart,” Francis said. “We have heard, these past days, about resistance to the Spirit; and today we have an example of two men who were docile to the voice of the Spirit. “‘Speak, Lord, because your servant is listening,’ Francis repeated. Before concluding, the Pontiff invited those gathered to pray for the grace of being docile to the Spirit.